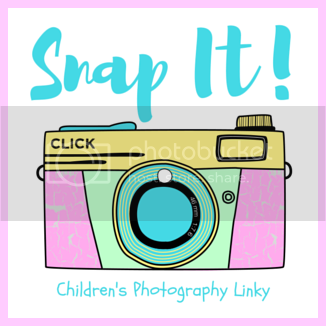 Hello everyone, welcome to my new children’s photography linky Snap It! I hope you’ve all had a great week. I can’t believe Thursday has come around so fast! Today is a special Thursday for us, as it’s the kids last day at school. We’re really looking forward to the summer holidays, I think we all need a break from the school run! I’m hoping we can go out with the cameras a lot more during the summer so we can get lots of photos for this linky. Let’s hope we get the weather for it! Thank you to Happy Go Mummy for linking up last week, your support is much appreciated on this new linky! This week I’m sharing some of Caitlin’s cat photos. We have two cats at home, who we all love very much. Caitlin is probably the biggest cat person out of all of us, she just adores them. The cats are often the main subject of her photos, and who can blame her when they’re so cute? I’m sure as the weeks go on you’ll see a lot of cats! The cats often get what we call ‘the city crazies’ where they run around the house, wide eyed, bouncing off the walls. Caitlin loves it, she laughed and runs after them to see what they’re doing. On this occasion, she grabbed the camera and tried to capture the moment. Here you can see Candy in her little house, which she usually dives in to and starts kicking around. Caitlin managed to capture this at just the right moment as Candy pops her head out of the window, before diving off and running up the stairs. Caitlin likes to ‘take care’ of the cats too, which usually means trying to cuddle them when they don’t want to be cuddled and spilling water/ food all over the floor when she’s trying to feed them. I love that she wants to look after them though, and it’s very sweet to watch. It’s funny because the cats would claw the heck outta me if I tried to pick them up, but they let Caitlin do what she wants. Here she had wrapped up the cat in her lamby blanket and then had to take a photo. As usual, Candy didn’t mind one bit. I would love to see what your children had been snapping this week! To join in, simply share any photo that was taken by your child. Be it a dodgy selfie, an accidental foot photo, or a wildlife shot. It doesnt need to be perfect, and it can be shot with a camera, a phone/ tablet or a kids camera. If they’ve been snapping, I want to see it! Simply link up your blog post below. While you are here, I would love a little share too, to spread the word about my new linky! I’d love you to add my badge to your post. Simply grab the code below. Any posts not related to children’s photography will be removed. Don’t forget to tweet @blogmummylauren with the #SnapIt and I’ll retweet you!